Experimental Theology: Cookie Cutting the Bible: A Case Study of the Word "Righteous"
Cookie Cutting the Bible: A Case Study of the Word "Righteous"
One of the interesting things about the bible is that it defies theological systematization. The bible is unruly and messy. And for some, this multivocality (which many take to be a euphemism for inconsistency and incoherence) is damning, marking the bible as an error-filled and wholly human product. I get that. There is nothing more disorienting than growing up as a fundamentalist and encountering multivocality and discrepancies in the biblical text. This is a well worn path--disillusionment with biblical literalism--from belief to unbelief. But while I appreciate these struggles, and struggle with them myself, there are times when I really enjoy the zany inconsistency of the bible. I enjoy the fact that it often feels like we are trying to stuff a thunderstorm into a bottle. What I love (and hate if I'm honest) about the bible is how, just when you've got something figured out, there is a chorus of voices within the text that resists what you've just created--your simplification, codification, and systematization. There's a reason, for example, why Calvinists and Arminians will never agree. They each sit on opposite ends of one of these perennial tensions. All this struck me the other day thinking about how a lot of Church folk use the word "righteous." Specifically, they are not using the word in a biblical way. Rather, they are using the word as a theological term. A fully biblical usage leaves words messy and imprecise. But used theologically and doctrinally these words become clean, clinical, and precise. The word "righteous" in this instance is just a cog in a theological machine. For example, when many Christians use the word "righteous" they don't have the biblical usage in mind. Because the biblical usage is all over the place. Rather, their use of the word "righteous" is governed by how the word functions in a made-man system that is imposed upon the bible. And when this man-made system is imposed on the bible a lot of the unruly stuff in the biblical text is cut out, marginalized, and left to the side. 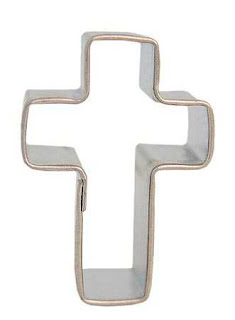 Think of man-made doctrinal systems as a cookie cutter and the bible as the cookie dough. What this means is that when people use a word like "righteous" they are using the cookie cutter version of the word, not the cookie dough version of the word, the biblical version of the word. That is to say, when people use doctrinal terms they are pushing a lot of biblical material to the side, ignoring a lot of the biblical material that doesn't fit into the shape of the cookie cutter system. Matthew 25 is a great example of how the righteous are defined as those who care for the poor and needy and, thus, are the ones who inherit eternal life. Herod feared John and protected him, knowing him to be a righteous and holy man. In the time of Herod king of Judea there was a priest named Zechariah, who belonged to the priestly division of Abijah; his wife Elizabeth was also a descendant of Aaron. Both of them were righteous in the sight of God, observing all the Lord’s commands and decrees blamelessly. All who sin apart from the law will also perish apart from the law, and all who sin under the law will be judged by the law. For it is not those who hear the law who are righteous in God’s sight, but it is those who obey the law who will be declared righteous. Speaking of Romans, just when you think you've got the mantra "by faith alone" down you run into Martin Luther's letter of straw. If John is to be believed then there's been a whole lot of deceiving going on! When was the last time you've heard it preached from the pulpit: "Let there be no mistake, dear congregation, it is only the one who does what is right who is righteous." Personally, I think we need some sermons like this. I agree with St. John. Christians are being lead astray. A good book in this respect is Gary Anderson's Sin: A History where he traces out the metaphor of sin as a debt to be repaid and the importance in both biblical texts and the early church of good works and almsgiving. It creates a much more complicated picture of the life of faith than a soteriological picture dominated by salvation by grace through faith (divorced from works). One irony is the Biblical hendiadis of "righteousness and justice" in the Old Testament. In our culture conservatives lean toward the first (legal righteousness) and liberals the second (social justice). The irony is that the Hebrew understanding of each word is almost the opposite. The cookie cutter approach first hit me in college when I realized that a particular symbol might not be used the same exact way in various stories and parables. Okay, I love this and it resonates so strongly with me. I've long grasped the concept of this, but lacked the language and thoroughness to flesh it out for myself. So thank you!
" there are times when I really enjoy the zany inconsistency of the bible." I hear the 'one time this and another time that' view that you seem to hold. Yet, this statement is quite stable in your thinking. And, once it is admitted, the vacillation appears warranted. "A fully biblical usage leaves words messy and imprecise." My view is that context is the key. For example, in Revelation the word 'star' appears several times. It is clear (?) that this word or symbol does not have the same meaning in each of it's usages and any attempt to make it so will lead to error. In chapter one Jesus clearly explains His usage as meaning 'a pastor of a church.' In chapter 8, it has to be clear (?) that Wormwood is not a pastor but an evil spirit being. This post is not dealing with a biblical problem. All people invest their words (symbols) with their own meanings. That's what makes communication so much 'fun.' The Bible, on the other hand, does a great job of telling us how to understand it's symbols. It just takes a lot of work to figure it out. And, nobody can be sure that they have actually figured it out correctly. So, I think that this post is indeed dealing with a false dilemma. Just saying . . .
Just as *Patricia* finds the "real" C, S, Lewis, not in his books, but in his personal correspondences, I think I see "the real you", not in your posts, but in your responses to the rest of us. Taken as a whole -- over time your blog presents a "theological systematization", despite its title. In each daily post, you seem fairly certain, not only of your ideas and convictions, but also your ability to make sense of the Bible. Your belief system is both well thought out and articulated here. Anyone could parse it if they cared to take the time, just as you do with the Bible. But when challenged, you admit to great doubt, even moment-to-moment, even as to the existence of God. It's what I love about you. But, as you say, it is "unruly and messy". Yes it is. I like your bottled thunderstorm analogy. But the reason I continue here is much as *Dan G* posted yesterday and as you allude to above: I remain almost completely disoriented by a lifetime of inability to make sense of the Scriptures. Today's post is a fine example. You take one word and then reveal how incomprehensible it is, Biblically speaking. And that seems to delight you. What's worse, the church is actively leading us astray. I know, in your mind you are bouncing off different ideas, and I should play along. It bothers me, however. Should I not be so literal? Words are all we have, as the Bee Gees once sang (revealing, of course, that we have music as well). In the end you present no resolution, no solution. Which IS the point, correct? Then your readers pile on with their affirmations about how you have suddenly revealed some gem of wisdom for which they have been searching but lack the necessary skills to gain on their own. All of which is to say I appreciate the oportunity to participate, even if I have no idea what is going on. You make each day start with an adventure of sorts. Hang in there, *Dan G*. I always found the word righteous to be problematic. A churchy word that seemed to be about piety and moral purity. Kind of a holier than thou word. Recently I have become aware of the recent revelations of the Koine papyri discovered more than a hundred years ago. Only in the third edition of the BAGD biblical lexicon published in 2000 have these Koine definitions become available. Previously translators essentially guessed, based on classical Greek, what the definition of some very key words were. In this case, dikaios, which is translated as righteous. A more accurate definition would be equitable, justice or human right. So using this definition Romans 2:26 sounds like this: "So if the uncircumcised man keeps the equity-resulting requirements of the Law, will not his uncircumcision be regarded as circucumcision?" Instead of: "So, if the uncircumcised man keeps the requirements (dikaiomata) of the Law..." Much clearer and to the point. So say some uncircumcised fellow who happens to be a San bushman of southern Africa, a so-called primitive people who are renowned for their equitable treatment of each other, ("Traditionally, the San were an egalitarian society. Although they did have hereditary chiefs, the chiefs' authority was limited. The bushmen instead made decisions among themselves by consensus, with women treated as relatively equal. In addition, the San economy was a gift economy, based on giving each other gifts on a regular basis rather than on trading or purchasing goods and services" Wikipedia), as were many other hunter-gatherers. Do they need to be visited by Christian missionaries to be shown a better way? A lot of prayers begin with "D'oh!" I love the ingenous indigation of your, "And that seems to delight you." It made me laugh - affectionately and with some sympathy. I can't speak for Richard, of course, but I think my delight in feeling disoriented and uncomprehending grew a whole lot when my faith shifted from my understanding of God's word and His attributes to His character - to His love. I think I now see these conundrums (conundra?) as opportunities to discover that God must be even better than I'd realised (surprise, surprise). Blessings to you on your journey. Hang in there yourself, my friend. I love this reclamation of righteousness. Anyway, I feel as if I must start completely over each day with the whole idea of God. How to "love" and be loved by a concept....an idea. It's my dilemma each dawn. I am but a simple mind. Rather concrete as well. I think it's some inability or deficit in me. It's why I relate to people here like *Dan G* and *delinquentminer*. Me too. It is a real eye opener, or at least it more pointedly does so, even if we had intuitions about it in spite of the obfuscating translations. For example: Paul wrote, "For I am not ashamed of the Gospel...for in it the dikaiosune (equitableness) of God is revealed. Rom 1:16-17. The traditional "righteousness" translation conveys the meaning, to me, of the holy (which also is problematic in the way it is defined) purity of God as in "he can't stand the stench of dirty sinners." The Reformers often portrayed God's righteousness and justice as a stern and fearful thing. But instead, equitableness conveys a sense that God views everyone as needing healing and acceptance, which is precisely what Jesus, as the face of God to the world, did. God desires to bring the benefits of His all-bountiful life-giving presence to all equally and unreservedly. "trying to stuff a thunderstorm into a bottle" ... great turn of phrase. Your post reminds me of one of my most beloved bits of C.S. Lewis --- in Prince Caspian, when Lucy encounters Aslan for the first time after re-entering Narnia, she says, "Aslan, you're bigger." And he replies, "That's because YOU are bigger." I have always found that personal growth never means attaining all the answers ... it does mean both the questions AND the answers get bigger. Thanks Richard and Cleanslate, you may also be interested that in Hebrew the word usually translated as "righteous" - tsadaq - means "righteous/justice". I find a good way to think about the word is "making right". This picks up the sense that righteousness has to do with standing against the injustices in our world that dehumanise and alienate and working for peace and equity. "For a poor nature will for a time be satisfied with a mediocre God; but as the nature grows, the desired ideal of God grows greater too." Yes, my mind's ear always "hears" Andrew's posts in a British accent ... "the only brew for the brave and truuuuue comes from the Green Dragon "
Good point Highanddry. Tsadaq, in a word, is restorative, creative justice making things right and undoing the wrongs. It has nothing to do with retributive reward/punishment justice. Two thoughts: first, if you're talking about the zaniness of the word "righteous," you definitely have to mention Tamar, who gets called "righteous" for dressing as a prostitute and seducing her father-in-law (in the interests of her rights/ justice, or perhaps in the interests of the perpetuation of life and of the family's future). Second, even a good we-can't-be-righteous-without-God person (like me) has to think that God makes us actually be righteous--not that God calls us righteous while leaving us untransformed. (The Eastern doctrine of deification may be relevant here.) I still think that trying to be righteous without God is something like trying to fly without wings. But "receiving God's righteousness" without actual righteous acts is like receiving wings without ever actually flying. My freshman Bible students never get this. It was sad to hear them try to describe the relationship between faith and works. "We're saved by faith," they would say, "but I guess we're allowed to do good works, too." Doh! Sam- your frankness is always refreshing. I like many of your points you made to Richard in your first comment. I think you point out well the difference between the ideal and real. I struggle with the finality of certain parts of the Bible and why do I not experience them as is stated. *perfect love casts out fear* Ok, I am a believer, seeking Him and His way best i can, why do I not experience this as stated?? Is my faith deficient?? Do I somehow have a distortion of God??? Very well could be on both counts, but I want to know and experience Him as He wants me too!!!!! Still, I struggle all day everyday to do this very thing. What does it mean to make Him into an iodol and how dodo I stop it if i do so??? Just some of the thoughts you stirred up Sam. Keep posting!! It's a good reminder there aren't really any 'unreached peoples'. God is already present everywhere.